The York Aspire is no longer available as it has been replaced by the York Active 120. Click Here to see our York Active 120 Review. York’s Aspire Cross Trainer is the non-intimidating way to get fit. You don’t need to leave the comfort of your home, and you have every possibility to gain strength, lose weight and build stamina. Magnetic resistance and a built-in hand pulse make this a great choice for home users that want to have a gym-quality workout in the comfort of their own home. You’ll need to assemble your cross trainer before you can begin using it. York has included all tools required for the assembly process. All you need to do is remove the unit from the box and start assembling. And the instructions are provided with clear, easy-to-follow diagrams that allow you to fully assemble this unit in about an hour – or less. You’ll need to follow the instructions precisely to ensure that you’ve properly assembled your unit. The good news is that the diagrams are rather clear and precise, so you’ll be able to easily assemble your cross trainer and begin using it. Keep in mind that the instructions will tell you when you need to tighten two Allen keys at one time. Stylish and sturdy is what I find the most impressive about the York Aspire. This model is designed for the home user, and a key feature that goes overlooked is the stabilisation. What this does is allows your cross trainer to remain stable even on uneven floors. This eliminates the wobble that is often experienced with home cross trainers. Stylish, this model also includes high-end features that allow you to quickly and easily get a workout. The heart rate monitor is one such feature and is included on the grips. You can gran the grips and use the display to monitor your heart rate. This is a great feature, but it is also a little inaccurate. Handle bar sensors, from my experience, are never as accurate as a heart rate strap. You’ll have a roundabout guess of what your heart rate is at when you’re working out, but you won’t know with 100% certainty because it is a little off. Again, it’s not a big deal, but it’s something worth mentioning. I did want to mention that there are transport wheels that make moving this cross trainer from one room to the next easy. This is great if you want to pull out your cross trainer to get in a workout and put it back in the corner to save space when you’re done. Note: This model is mains powered. You’ll need to place the unit near a main when in use. The 6kg flywheel keeps noise production to a minimum on the Aspire, allowing you to train without waking up the entire home. Resistance is also just a click of a button away and can be controlled right on the display. From first-time users to advanced user, the resistance will provide a rigorous workout that allows you to burn calories and build muscle. The Aspire also has a target pulse, which is what you should maintain when working out. Additional functions also include pulse recovery. This unique feature will help you determine when your pulse has settled down following a workout. It’s a great option for all users because it also provides several grades so that you can see how fast you’ve progressed when cross training. And if this wasn’t enough, you also have Program 14 – 17, which are user-created programmes. You can set your own program up and save it into the machine’s memory so that you can always go back to the program in the future. This is a truly customers program. Program 18 – 22 are all heart rate controlled. These programmes work on percentages and will be 100% controlled by your heart rate. This means if you’re going through a rigorous workout session, you’ll be monitoring your heart rate the entire time, and the program will adjust based on your heart rate. A final program is available and is based on the user’s body fat. 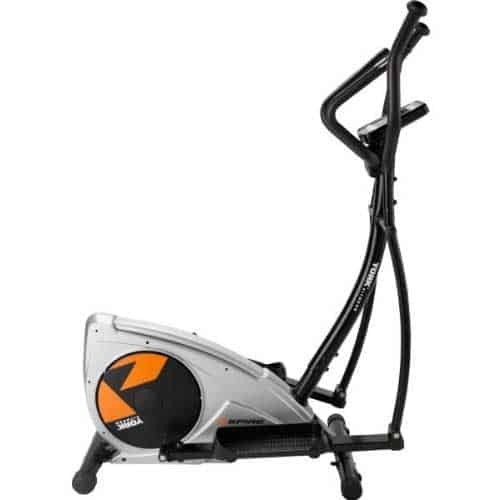 Unfortunately, the York Aspire Cross Trainer is no longer available. 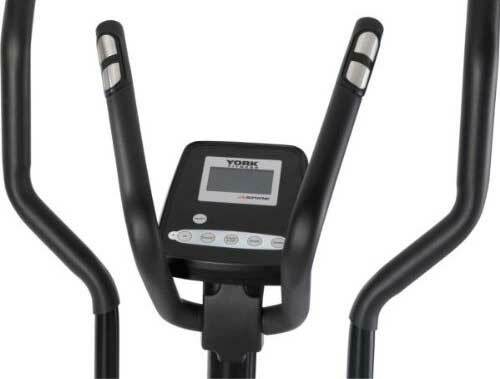 York has since updated their cross trainer lineup and has replaced the Aspire with the more advanced: York Active 120. 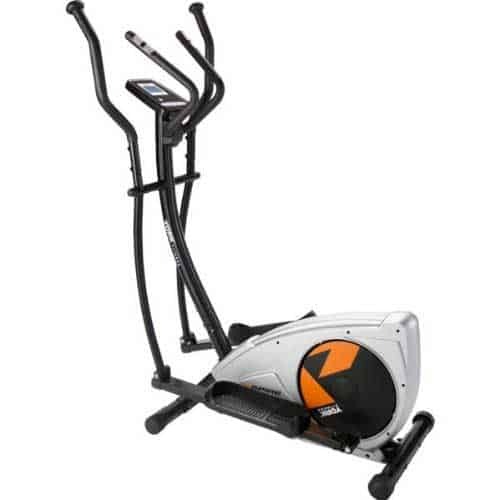 York Aspire is one of the best cross trainers that was on the market. While this model did leave some to be desired with their built-in pulse sensors, the company provided a robust display that comes with 23 preset workouts. These workouts will guide new and experienced users from flab to fit. You also have the option of making your own customer presets, which is a nice addition to any cross trainer. Overall, the Aspire provides a durable build, stylish look, easy transport option and also a display that can compete with models twice the price of the Aspire.